Hard drive recovery is the procedure of recovering lost files or partition from corrupted, damaged or inaccessible storage devices. Lost data can be recovered from hard drives, SSD, portable drive, memory cards, RAID, virtual disks, etc. Hard drive data loss reasons can be sorted into two types: logical and physical damage. Causes of logical problem include virus attack, malware damage, file system corrupt, operating system crash and more. Physical damage of hard drive happens when head crashes, circuit fails or other components go wrong. Hard drive recovery from physical damage. Software can’t deal with situations that hard drive gets badly physical damages, and users have to send hard drive to data recovery center to retrieve data. Hard drive recovery from logical problems. Such data loss scenarios may happens to every computer users, for example, accidental file deletion, unintentional formatting of partition or hard drive, partition turns inaccessible, partition gets deleted, partition table crashes, Recycle Bin is emptied and so on. To retrieve data from these data loss cases, you need to scan the hard drive with professional hard drive recovery software. Hard drive recovery software can be the most optimal choice for logical problem, because hard drive recovery like Eassos Recovery Free supports file recovery and partition recovery from damaged hard drive, USB drives, camera card, cell phone, etc. within five steps. This method is available for all users, as the software is very easy to use and free of charge. How to recover lost data from hard drive? 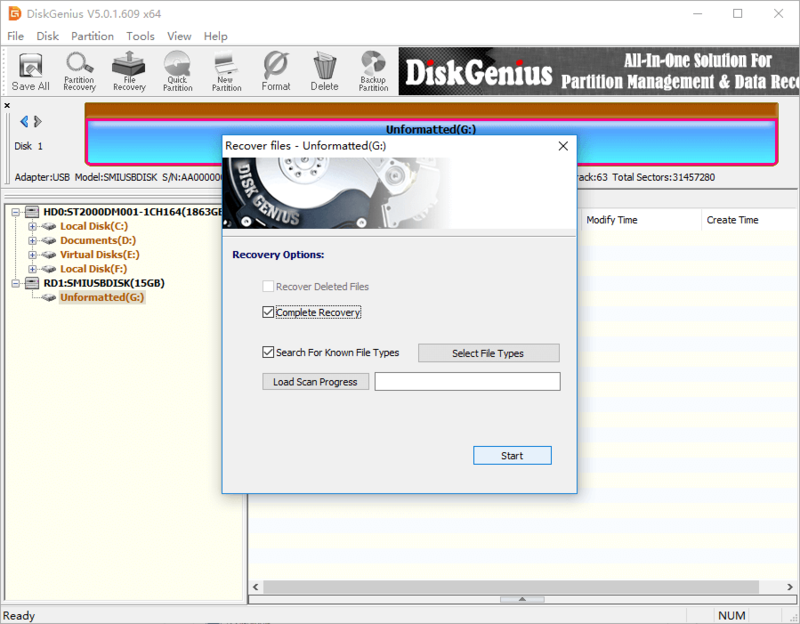 Step 1: Install and launch advanced hard drive recovery software DiskGenius from your computer. Then you can view all partitions and disks attached to your PC. Step 2: Select the formatted storage location and click File Recovery button from toolbar. This will open the Recover Files window. Step 3: Select “Complete Recovery” and “Search For Known File Types” options and click Start button to search for lost data. 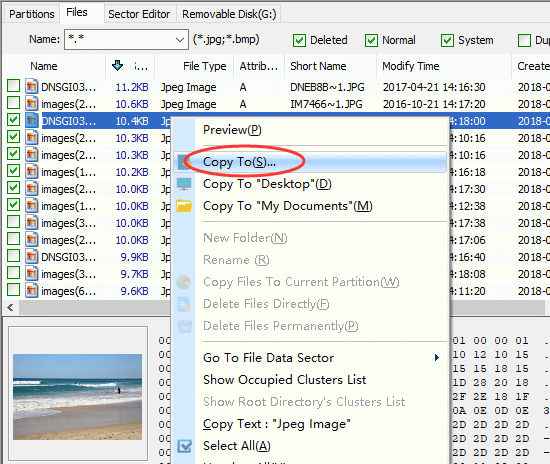 Step 4: Choose files and folders you want to recover and right-click on them to select “Copy To” from context menu. Then you can select a folder to store recovered files. This entry was posted in Data Recovery and tagged hard drive recovery, hard drive recovery software by EASSOS. Bookmark the permalink.